I’ve managed to rouse myself out of the lethargic stupor that’s gripped me since the World Cup started in order to write this review of 22 Jump Street, a film hardly worth making the effort to appraise substantially. 22 Jump Street isn’t a bad film, in fact it’s a largely enjoyable affair filled with flashes of genuinely funny moments of crude and immature college humour, but it’s predictable and shallow overall presenting itself as the archetypal sequel film. 21 Jump Street was surprisingly brilliant, shining as one of the few outstanding comedies in recent years. The film’s foundations lay on the buddy axis of Jonah Hill and Channing Tatum, an inspired piece of casting as they built on their typecast aesthetics to create a natural comic duo of continuous joy. Additionally the daft plot successfully picked on the absurdities of school for global appeal while spicing it up with some excellent cameos, tear inducing funny man Rob Riggle the outstanding presence as the drug dealing PE teacher. Under the direction of animation experts Phil Lord and Christopher Miller 21 Jump Street was a breath of fresh air for big screen comedy, but with success comes an inevitable sequel regardless of whether it’s appropriate, wanted or sensible. 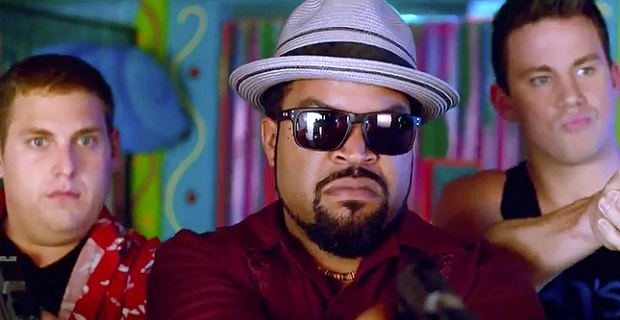 22 Jump Street, much like Anchorman 2, is a sequel that fans crave so they can once again see their comic heroes in full glory, yet we know deep down the magic can’t be recreated so purely the second time. 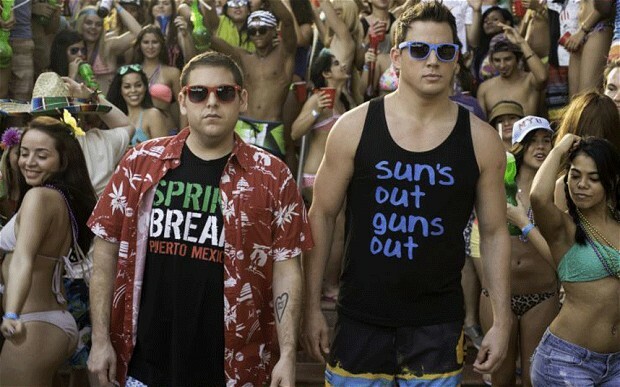 22 Jump Street is well aware of its limitations as sequel, admirably playing on them through self-referential jokes but doing little to negate the predictability of a watered down version of the original. The biggest change for 22 is the obvious graduation of the setting from school to college, that well-trodden comedy stomping ground, but bar this obvious, superficial change the film is little different to its predecessor as the narrative, characters and humour follows the same formula with a lesser impact. 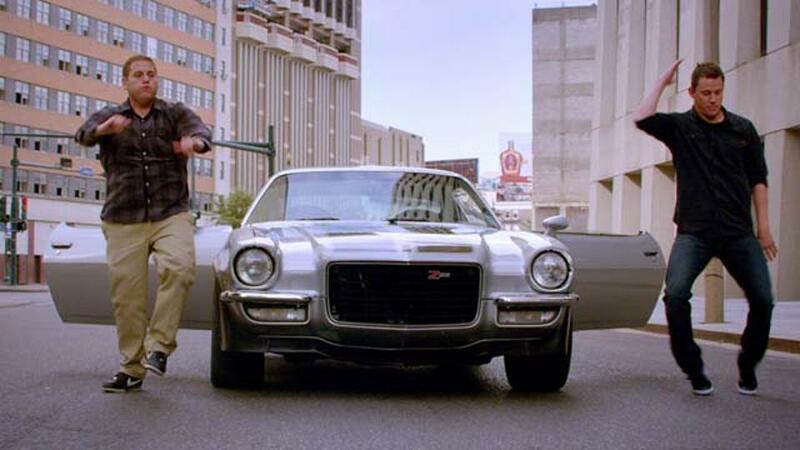 In almost every department 22 Jump Street falls short; the college setting is mostly superficial working as a popularity booster rather than a platform for entertainment, the villain ‘Ghost’ (Peter Stormare) is weak and forgettable, while the jokes too often boarder on stupidity for the sake of effect. Unquestionably film’s biggest mistake is the decision to limit Rob Riggle to a short cameo in contrast to his scene grabbing work last time round- he’s comic gold and should have been embraced like Steve Carrel’s idiotic alter ego Brick. These aren’t terminal shortcomings, rather disappointments in light of the original; it’s the lack of innovation or imagination that made 21 so successful which is missing here. Despite the repeated formula there is more successful chemistry between Tatum and Hill, their odd couple of opposites works seamlessly and ultimately saves the film from being total rubbish. 22 Jump Street has its flashes of excellence rather than standout scenes, like the original’s drug tripping segment or cameo shoot-out, meaning this instalment is likely to be forgotten come a week after viewing. The film’s biggest let down for me is the underutilised college setting, it feels perfunctory through the lack of jokes used at its expense and the need to move onto the obligatory gratuity of Spring Break as soon as possible. As Monsters University and the timeless classic Animal House show, college is a fantastic place for a film, the possibilities are endless and wholly relatable, 22 Jump Street could have done so much more with it, certainly an opportunity missed. The university setting, like the increased prominence of Ice Cube and the bigger explosions, are unimaginative upgrades that feel like compulsory attempts to meet expectation rather than calculated improvements. Ultimately the film is an adequate, albeit unneeded, sequel that fails to capture the magic of the first, its fine without every threatening to expand or improve on its precursor; luckily the Hill/Tatum partnership makes it a worthwhile watch for a rainy day.